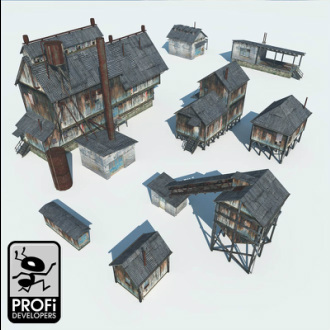 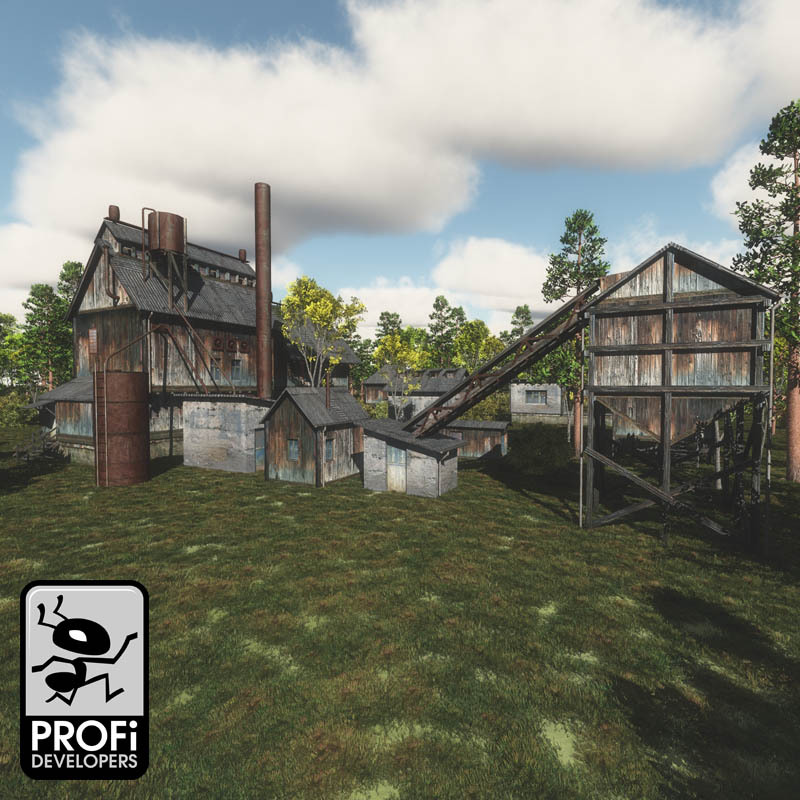 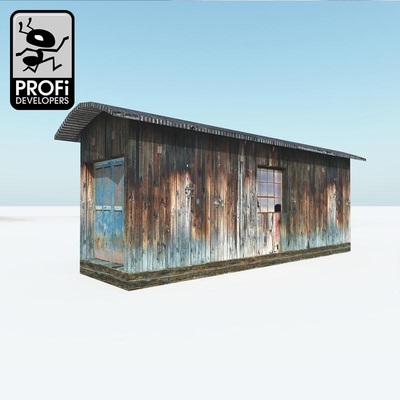 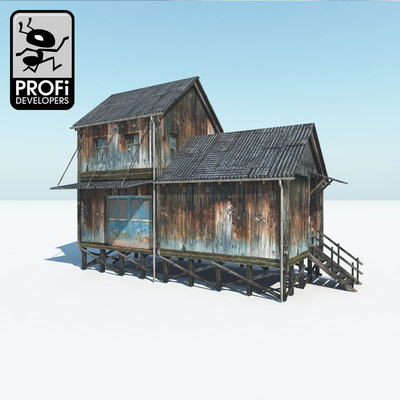 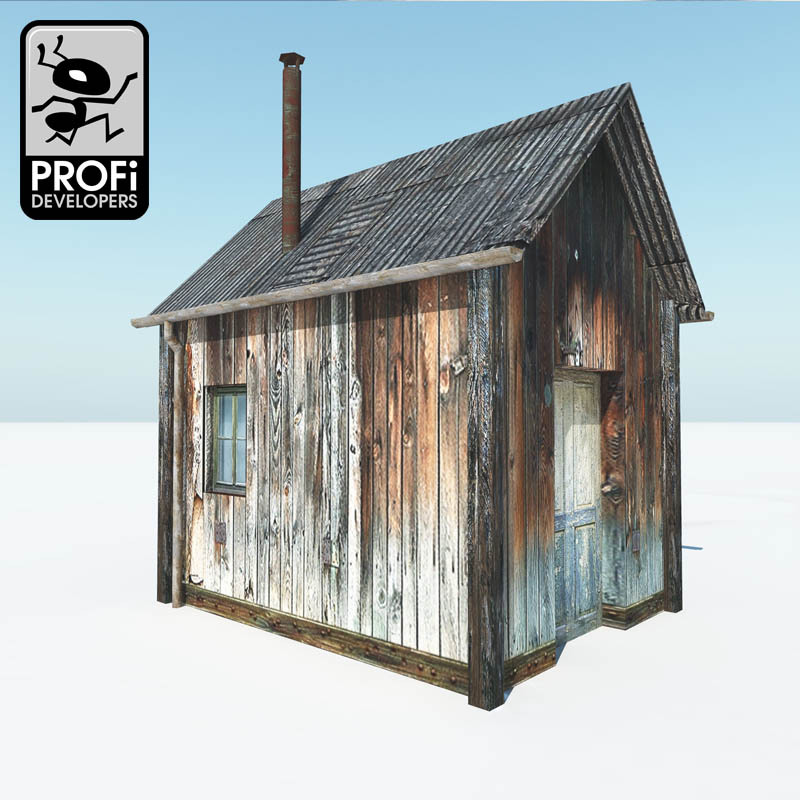 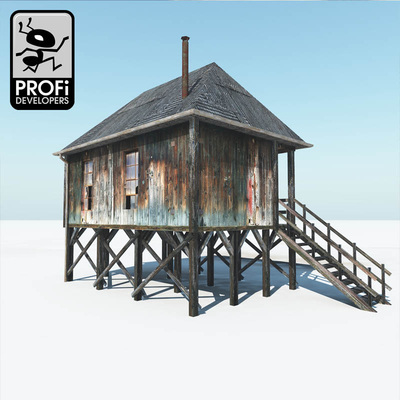 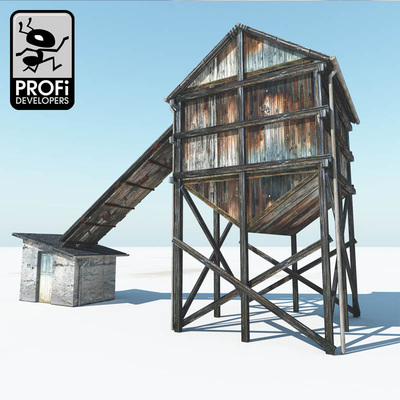 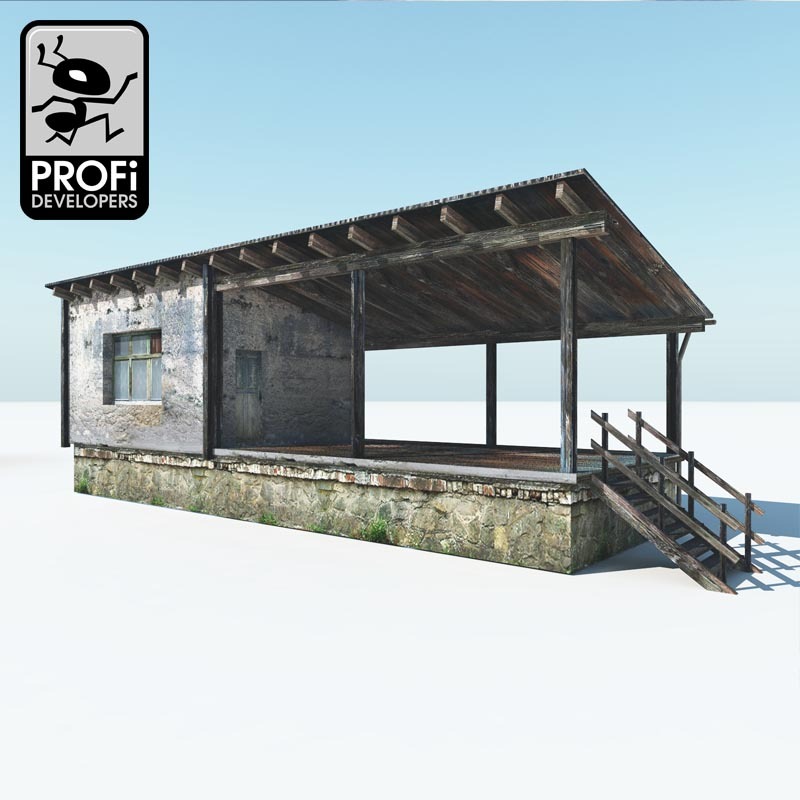 This grouped object inclues eight photorealistic textured buildings from an industrial sawmill environment. Models are suitable for close-up views. 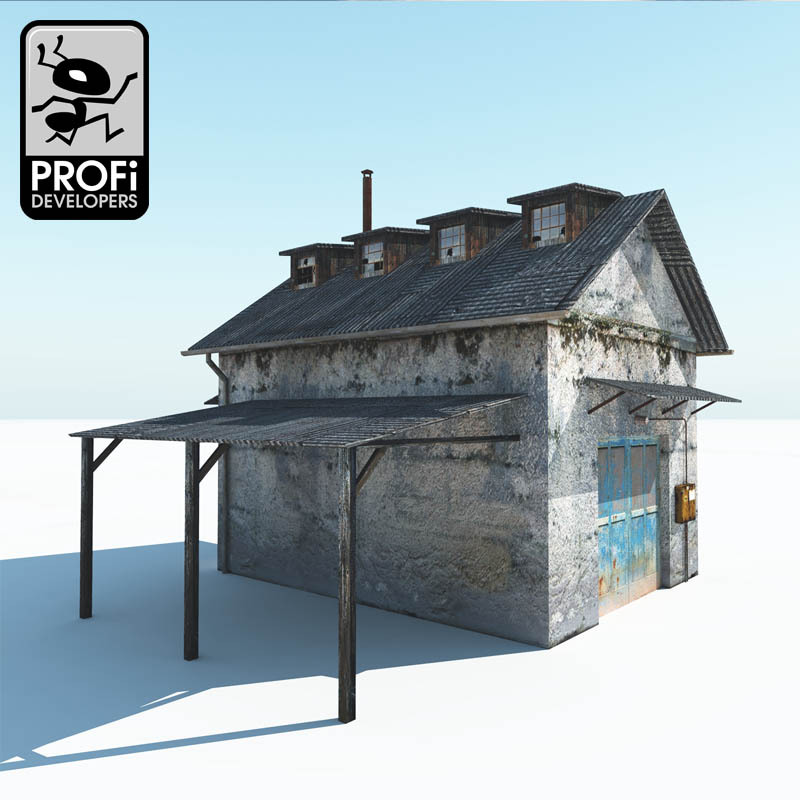 They use one material with set textures (diffuse + reflection mask). 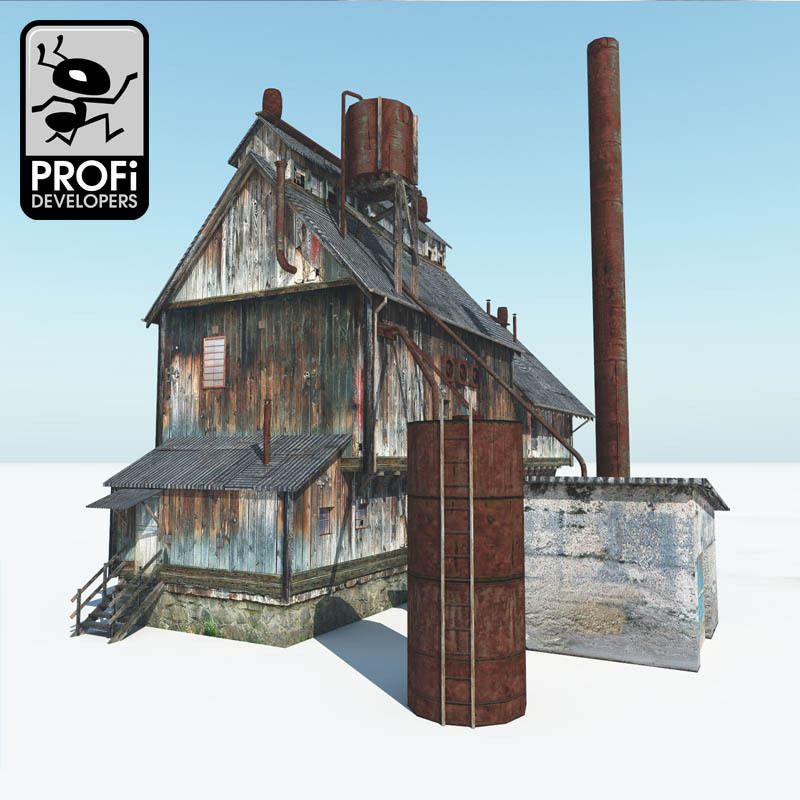 The textures are 2048x2048 maps in JPG format. Load into Vue and you can ungroup and resave as you like.